Century ® Versys VS2 Fight Simulator is ideally suited for aerobic conditioning, endurance, speed and technique training. Tested by professional combat sport coaches, trainers and instructors. Intelligent, simple and effective. The VS.2 opens up a whole new world to all combat sports and fitness athletes. Realistically practice nearly every grappling takedown without a partner, including: throws, hip tosses, leg sweeps, arm drags, ankle picks, crotch lifts, single and double-leg takedowns. Throw hand, elbow, knee, and foot combination strikes to upper, middle, and lower body while standing up or on the ground. Perform intricate partner exercises such as under hooks, level changes, and ground and pound. Legs and arms are a soft and flexible structural core for a full flexibility and natural rebounding to original position. 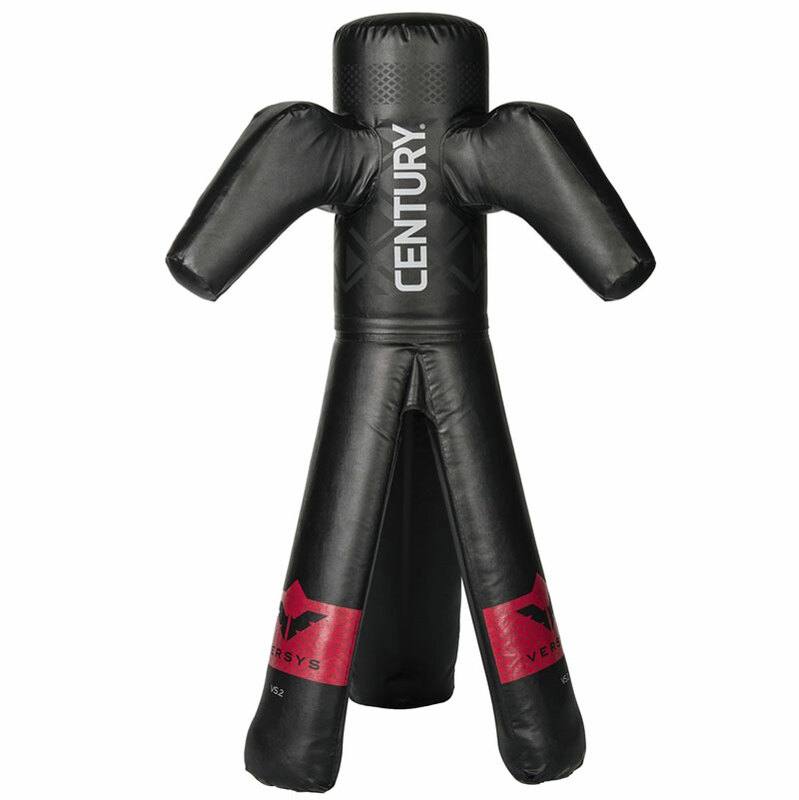 40% lighter than traditional grappling dummies to safely train the broadest assortment of moves. Patented three leg structure is strategically weighted to stand upright. Easy to assemble, move, and store after training. One-year replacement warranty on all Versys™ Fight Simulators.